November 2, 2013 was a day of great excitement! This year’s Bay Area Science Festival at AT&T Park in San Francisco, sponsored by Chevron, was full of interesting exhibits displaying unique approaches to learning about science, technology, engineering, and math (STEM). There were lots of robot-based activities for kids to introduce themselves to basic design and programming and other cool make & take experiences. Throughout the day the sky was filled with sunshine, a few clouds, and an 8-foot wide floating soccer ball powered and steered using remotely controlled fan jets! 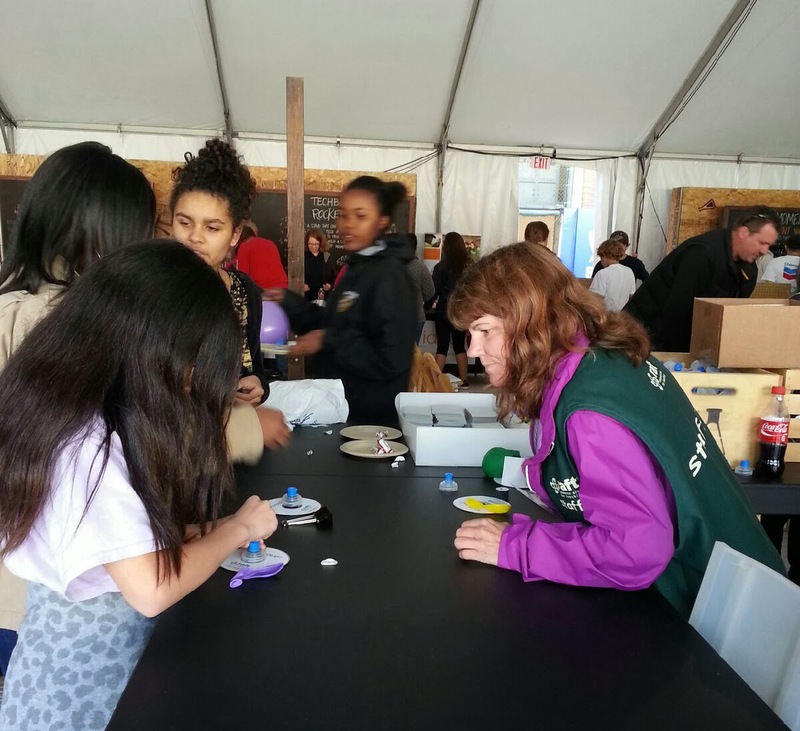 Novel gadgets and battle bots set aside, the highlight for RAFT was being able to distribute 14,000 activity kits to eager children ready to learn science. We distributed RAFT’s infamous Hovercrafts, Simple Stethoscopes, Critter Capsules, and Fizzy Rockets. By far the largest crowd was in the Chevron tent, where thousands of people made the Hovercrafts and Critter Capsules at RAFT’s center tables! Special thanks goes to Chevron, who made it possible to distribute our activity kits free of charge and who provided hundreds of volunteer staff to assist in making the event successful. We are looking forward to promoting STEM learning at next year’s event. See you there!